There are different styles of beds, each with their own promise of delivering a combination of form and function. Among others, one that you might want to consider is a platform bed. The latter provides a more streamlined appeal for the bedroom and also eliminates the need for a box spring. It is also a good way to maximize space at home as you can utilize the bottom for storage. If you don’t have old pallets, you can also buy them at a cheap price, they will make a good choice for designing the base of your platform bed. All that you have to do is to lay the pallets on the floor. Add another layer on top if you want the bed to be higher. Avoid painting the pallet if you want to achieve a rustic appeal. You can also use vertical pallets as the headboard. To create an illusion that the bed is floating, you have to build two platforms. The base should be a smaller rectangular box. Top it off with a bigger platform, making sure that the bottom will not be visible from the outside. Add lights at the bottom and at night, it will look like it floats. This is a good idea if you want to create a multifunctional bed. While you can sleep on the top, the bottom of the frame can double as storage. Make sure that it is high enough so that the lower part can still be utilized. This is another way to add a unique twist to the traditional platform bed. Using a thick wooden base, add four wheels on the bottom. It will make it easy for the bed to be moved around when redecorating or cleaning the bedroom. Just make sure that the wheels can be locked so that it will be stable when you are sleeping. A tall bookshelf can be upcycled and be used as the frame for your platform bed. Choose a shelf that is large enough so that it will provide support for the mattress. The shelving racks should be exposed so that it can also double as an additional space for storage. 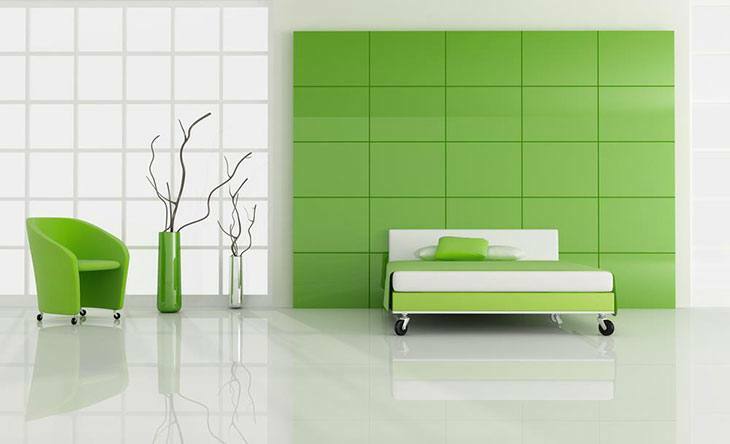 This is a versatile idea as you can incorporate it into almost any design of a platform bed. 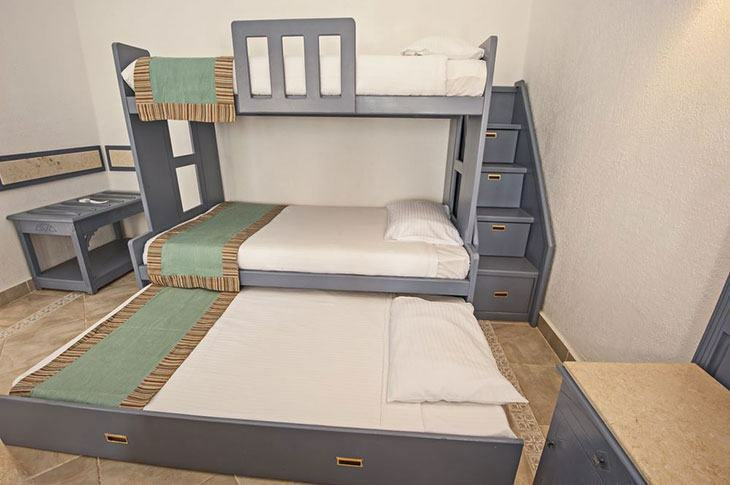 All that you have to do is to add four posts on each side of the bed. To make it look more appealing, add white drapes to achieve a more elegant appeal and come up with a bed that is fit for royalty. If you are trying to achieve a minimalist appeal, this is a platform bed that will work best. In the middle of the room, just place a plain wooden bed frame and top it off with your mattress of choice. do not incorporate a headboard or any design element that will make it look more elaborate. This is a good way to maximize space in a small bedroom. 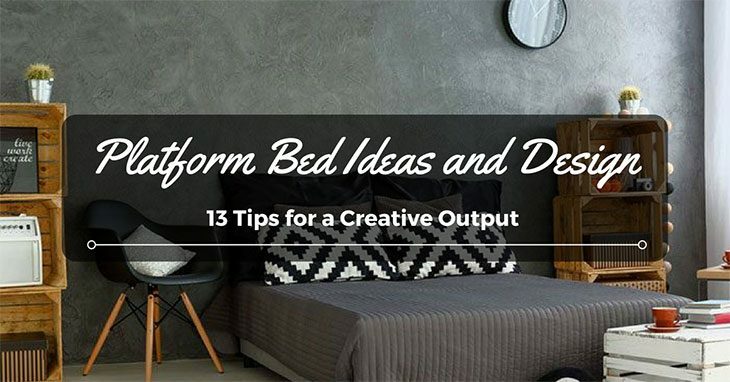 When we speak of platform beds, a lot of us would instantly think about one that is rectangular in shape. If you want to be different, look for a frame that is round. This is a good idea if space is not an issue in the bedroom. 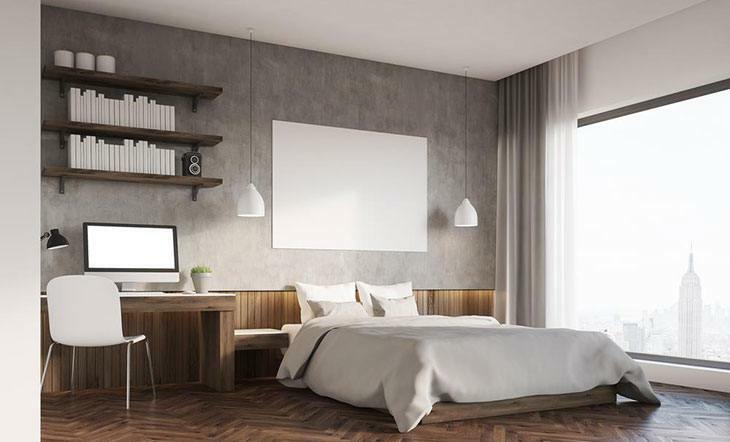 A modular platform bed is another idea you might want to consider. Using four different frames, place them at the bottom. Top it off with your chosen mattress. See to it that the bottom is bigger than the top part of the bed. This is another design idea that will work for different types of bed. Once you are already done with the platform, all that you have to do is to wrap it with your choice of fabric. You can opt for leather, vinyl, or canvas, among others. Choose a piece of fabric that will complement the overall look of the bedroom. If you want to have a low-rise platform bed, this will be a good idea to consider. All that you have to do is to arrange a single block each to form the frame of the bed. The side with the opening should be the one exposed so that it will add up to the design element. Be sure to top it with wood before putting the mattress. With this platform bed, you can use any material as the base such as pallets, shelves, or concrete blocks, among others. Make the base almost double the size of the mattress. Place the mattress on the left-most side. On the right-hand side, you will have ample amount of space. You can add accent pieces or just leave it bare. 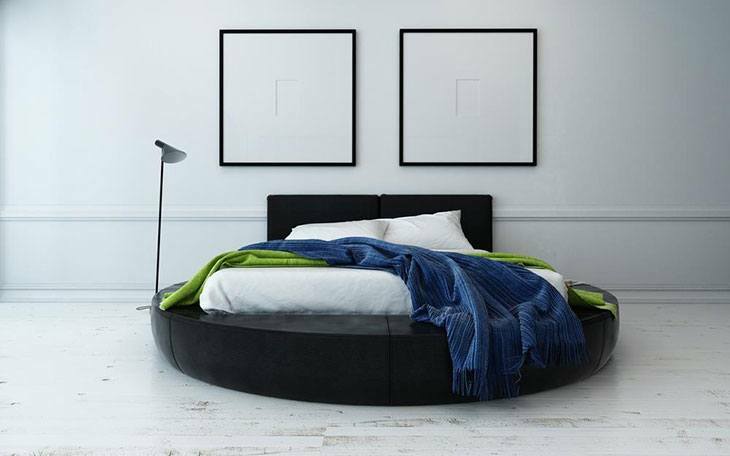 This design idea does not concern the bed itself, but the floor. You can keep the platform basic and go all out on the flooring. Choose a rug with a delicate or elaborate design. This will help to draw attention on the floor and not on the bed. Choose colors and patterns that will be perfectly suited for the overall look of the room. Now that you are done reading this post, we hope that the platform bed ideas & design discussed above have been helpful. The sky is the limit when it comes to design possibilities. Do not be afraid to explore new dimensions (Source). Did you enjoy reading this post? Are there other design suggestions that you would like to add? Feel free to leave a comment below.